Earlier, I had made a big list of funky things which had happened with me and had decided to write on them. But yesterday, all my feeble attempts got wasted on my long face. I couldnot write anything at all. I felt useless. Today morning too, I was uncertain whether I could blog or not. I was thinking to abandon the blog. Just then I remembered about a sweetheart due to whom I was blogging at the first place. Guess who??????? Of course, the answer is RESONNER, my eldest sis, the charming, elegant, studious, sincere……………………………………………………..Well, I can go on. So I thought, why not chalk out some amazing and credulous features of our dearest Resonner??? Our all time favorite Resonner, or Pamela was a bright kid downright from her childhood. She was always busy with her studies. Whenever I visit her house, I never get bored of the charisma she has bore in the house. Her paintings adore all the walls and doors. Her dolls, nearly as old as herself have been kept neatly, clothed with hand stitched dresses by her mom. Her bookshelf is a myriad of volumes of story books, encyclopaedias and what not. The number of prizes and medals she has won has always kept me dumbstruck. Be it in academics, elocution, dance, music or drama, she had her talent everywhere. Her hands were always full of praises. An all rounder, a superstar in herself. 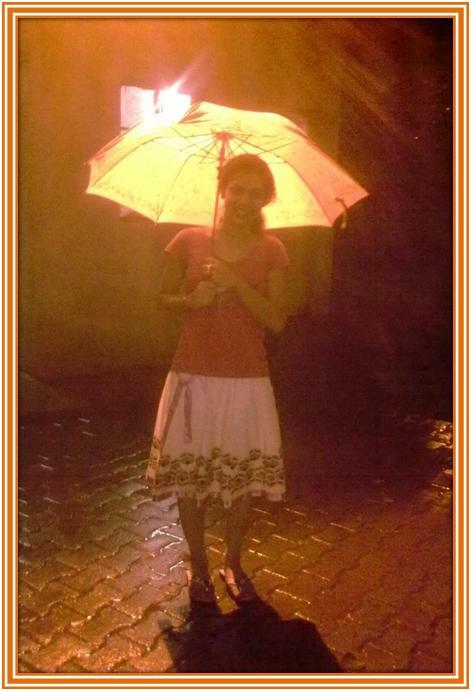 A born genius, she secured 92% in her Class 10th CBSE Board exams and above 85% in her Class 12th CBSE Boards. She moved to Bhubaneswar with a bag filled with clothes and books when she had just cleared her +2 exams. You can imagine how young she was. Staying at a relative’s place, she emerged victorious among those thousands of students who had appeared in the Joint Entrance Examinations. 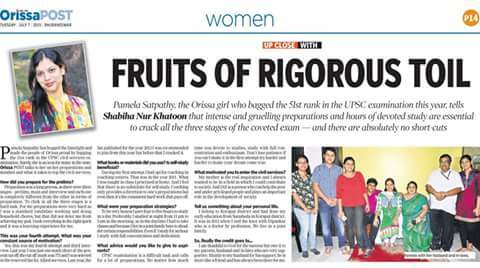 She secured a brilliant rank and got admitted to College of Engineering and Technology, one of the best government colleges of my home state. While students fail to achieve this feat even after studing 2 years at a coaching centre, she managed to crack the exam with ease with just one month crash course. After completing her B.Tech in Computer Science, she got her first campus placement at Infosys. She underwent rigorous training for 1 year at Mysore. Afterwards, she decided to join CSIR, one of the booming research sectors of the country as a fellow scientist. Staying all alone at Delhi, coping up with its traffic, hustle bustle and weather must have been so horrific for my Nani. Extremities are faced by the Delhi people. They are roasted in the sweltering summer months and chilled during winter season- a classic case resembling the competency of a plant cell to take up foreign DNA. From getting up early to retiring late at night, she managed to test her culinary skills at her apartment without a community dustbin. Poor guy, she prepared her own food without any formal training. She managed to survive in this world which follows “Survival of the fittest.” But one thing which she likes about Delhi is that it made her independent. And not to forget all the shopping, of course. It is necessary for a person to struggle atleast once in a lifetime to achieve the ultimate success in life, she says. She proved her quote 3 years ago when she took the daredevil decision of quitting her job and decided to prepare for Indian Administrative Service Exam. She was not unhappy of the fact that her precious years will get wasted lest she couldnot qualify the examination. But all she thought of seving her country. It is a proud feeling, she says. I understand her. Returning back to studies after so many years is not a joke. I just imagine at her competency to grasp at studies. The entrance exam is one of its own kind, being the toughest in the country. She was determined to crack it. She had to say goodbye to her salary[oh my] and started studying sincerely, again. To save money, she wouldn’t mind to walk in the hot sun instead of taking a rick and filled her water bottle from a water cooler rather than buying another bottle. All for a few rupees. The first year she appeared, she was suddenly taken very ill. Her mom went to her to help her out, but in vain. Though she could clear the prelims, she couldnot make it to the mains, by just missing the cutoff for a few marks. Others would have been disheartened. But she didn’t. She put all her soul once again into her studies. This time she cleared both the prelims and mains but could not clear the viva. This is indeed a great achievement as students usually clear this prestigious exam in the third or fourth attempts, and she was just a few steps ahead of her goal in the second year itself! What a feat, I wonder. Hats off to her. Last year, she took another toughest decision of her life. She decided to tie the wedding knot. And she did. Though her achievements are always reaching the sky, her feet is held firm to the ground. She married Deepankar bhaiya, a doctor on 8th of December, 2012. The wedding was truly grand in all ways. 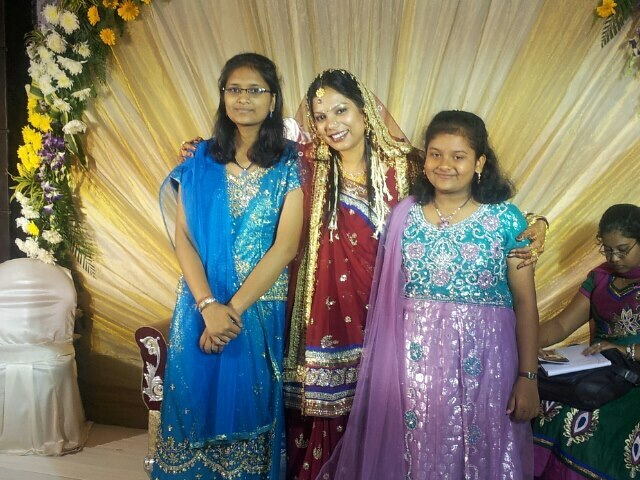 The reception, the food………………………………and oh, not to mention about my cute friends ,sisters and aunties who attended the marriage ceremony. They just looked fab!!!!!!!!! Rocky nani, as I call her, looked fantastic, as always.I had dressed up first time so lavishly. After all, it was my dearest Resonner’s wedding! Currently, she is doing Post graduate courses in Sociology and related studies. Apart from all the qualities that I have mentioned above, Rocky nani is a great blogger[you all know that better than me], loves gardening, listening to music, and likes to spend time with us and her books. The mighty transitions she has made in her life has always made her much stronger. She has no time for worries. All she does is hardwork, hardwork and hardwork. I love you, my dearest Resonner and I wish I could be like you!!!!!!!!!! This is my gift for you……..hope you like it. P.S. BREAKING NEWS: Mrs Pamela Satpathy has cleared the UPSC examinations in her 4th attempt with AIR 51! Way to go nani! You are a true inspiration for the millions of Indian students! You have shown that nothing is impossible! Woohoo!!! She has already joined LBSNAA and her alloted cadre is the newly formed state of Telengana. This entry was posted in SOMETHING EMOTIONAL and tagged academics, Aneesha, art, Bhubaneswar, Biotechnology, CBSE, computer science, CSIR, damce, Deepankar Satpathy, Delhi, DNA, drama, education, friends, GIRL POWER, hardwork, IAS, Infosys, JEE, LBSNAA, music, Pamela Satpathy, Resonner, sincere, sister, sociology, Sushree Acharya, talents, wedding. Bookmark the permalink. Im just so touched…cant even express hw im feeling rite nw..
tbt seeing thru ur eyes…i cn lov myself..
God bless u sweetheart..u r a real gem. Im proud to b ur sister.. It was awesome. It touched my heart. Thanks Nishi. Your comments keep me going on……..
She is an inspiration ..